Born on June 28, 1920 on the Vaudeville circuit that traveled up and down the East Coast performing as they went, Don McNally attended 306 different schools before he graduated from high school. 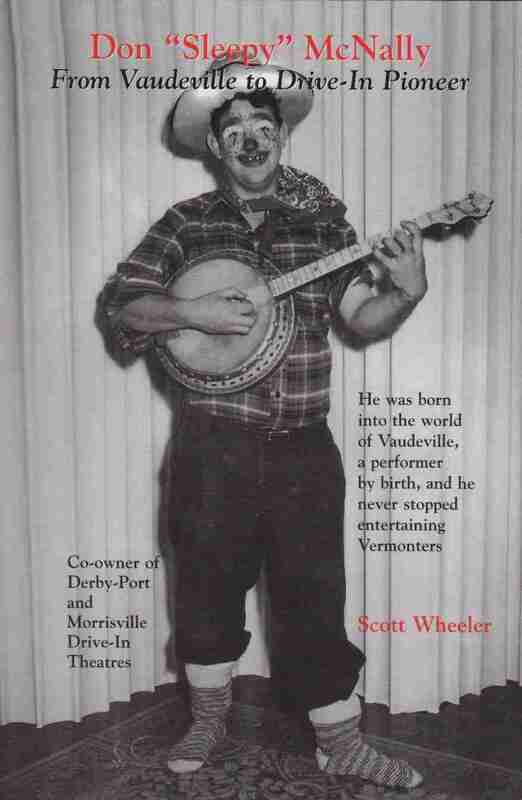 He went on to become one of the early pioneers in the drive-in movie industry and one of the founders of the Derby-Port Drive-In Theatre in Derby Vermont, and the Morrisville Drive-In Theatre in Morrisville, Vermont. The 120-page book is filled with stories and photos that will send you on a trip down memory lane. 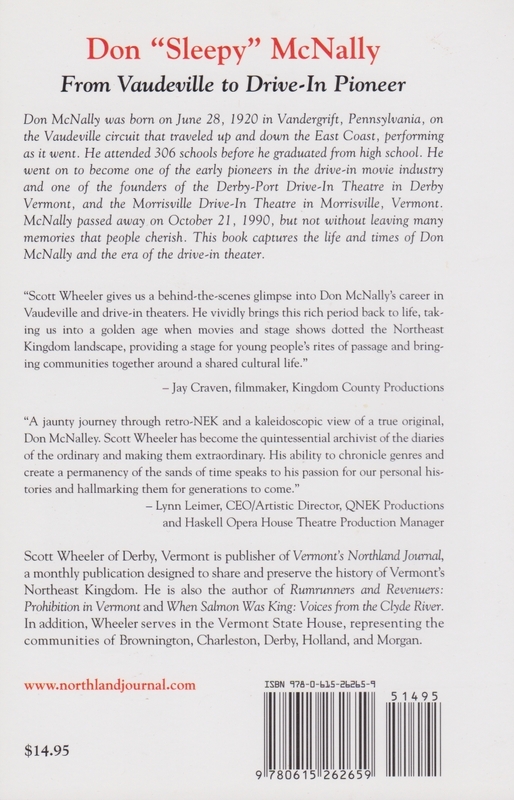 To buy a copy of the book, order here, or send $10.00 plus $3.00 (price is based on delivery in the U.S.), to Vermont’s Northland Journal, PO Box 812, Derby, VT 05829. Or to order by phone call (802) 487-0254.